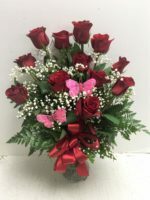 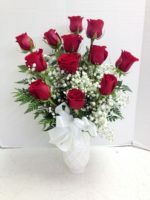 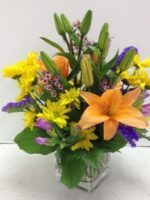 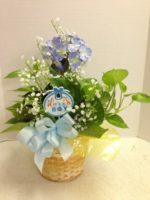 Magic happens when lilies and roses are custom designed and professionally delivered by Roadrunner Florist. 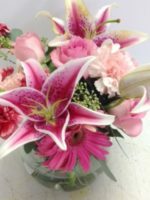 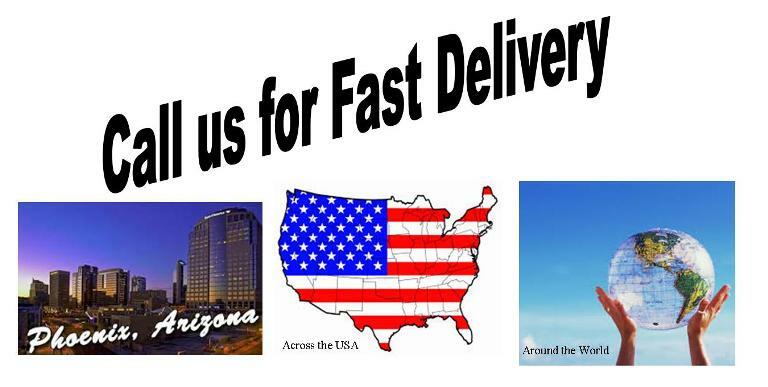 Magic happens when we custom design lilies and roses, then professionally deliver them in the greater Phoenix area or across the country. 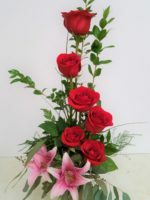 6 beautiful, long-stem red roses and stargazer lilies are fragrant, impressive and a true expression of love and support. 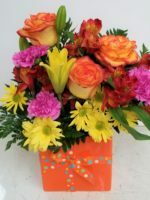 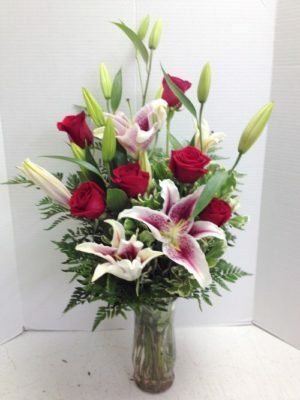 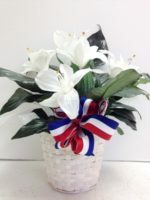 Celebrate your anniversary or Happy New Year with this beautiful arrangement of Lilies and Roses.